July 2008: purchase hamster for my son’s birthday. August 29 AM: Hamster is seen under sofa, unfortunately small lizard is also seen under sofa. We have never purchased a lizard. August 29 PM: Realize that at 38 and 43 our reflexes are too slow to capture lizard and ask Alexander (7) to please get lizard. Alexander says no. I offer cash. $5. Still no, offers increase incrementally to $22.50 plus one full hour of TV. Alexander still declines and we decide to cut his allowance. Immediately and permanently. August 30: Husband traps lizard under Tupperware container but fails to have disposal/removal/relocation plan. Husband wanders off to find necessary items and dog frees lizard in a failed attempt to eat him. Dog starves, lizard becomes permanent Gottlieb resident. Hamster is still missing. August 31: Hamster is successfully captured and returned to (cruel) cage. Hamster is very thirsty. September 2: Hamster is gone. I am exasperated. 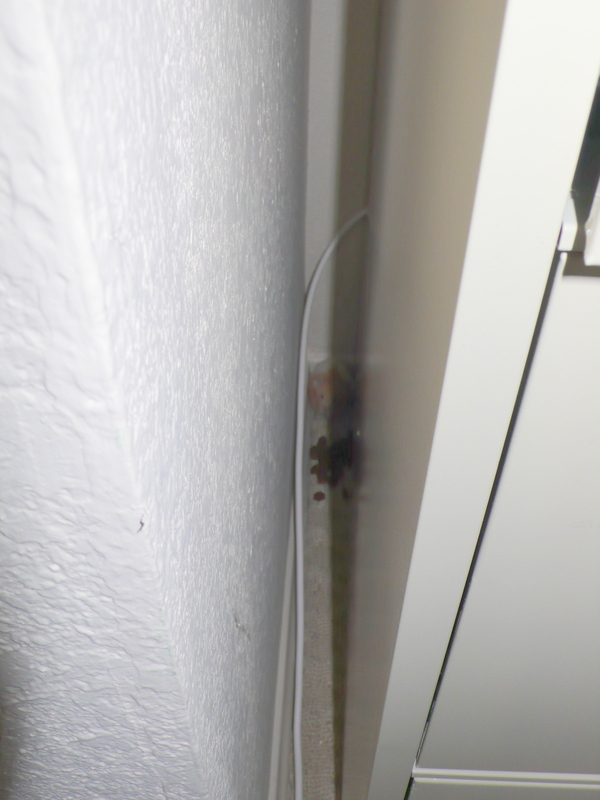 Hamster is clearly Houdini reincarnated. September 4: I hear scratching behind filing cabinet in office. 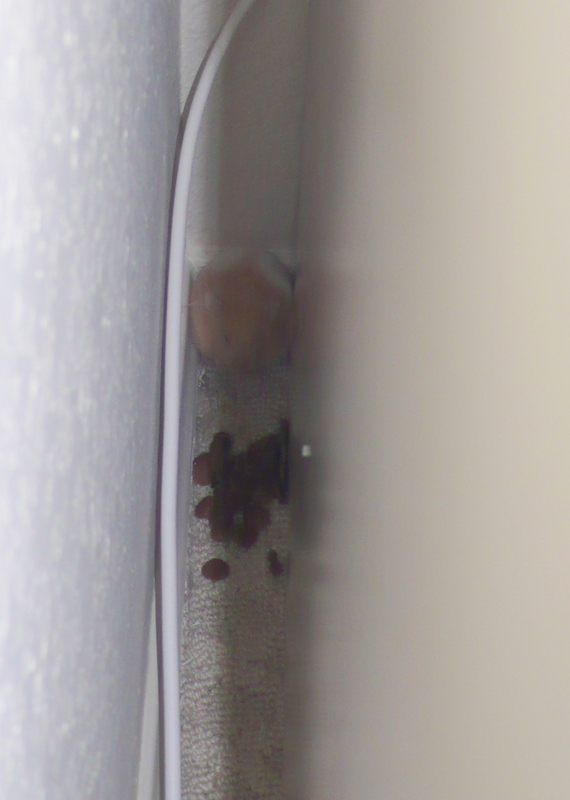 *sigh* Hamster is happily gobbling dog’s food. Dog’s bowl is 3 rooms away. Oh my gosh! I just looked at the bigger version of that picture, and that hamster has a STASH! Whoa! Maybe it’s time for a new hamster cage? I am unsure a hamster cage has been created to actually keep the rodent from escaping. I am starting to think that is part of the ‘fun’. Traci’s right, I think. Hamsters are brilliant escape artists (if something with a brain that tiny can be “brilliant” at anything). Hamsters are not escape artists….. You just need to locate his comlink so the transporter can’t lock on to his signal and transport him out of his cage. Once you do that you’ve got it made. Unless of course it’s the lizard opening the door so neither of them has to call their motherships. Looks like he hid somewhere he thought you wouldn’t be able to get him as easy this time. The picture is great! Wow, that’s one smart rodent you got there. We had a dog who was an escape artist (we had to put her to sleep last summer–so sad). Her nickname was Houndini. I say get rid of the fucker… Thats what I did… The kids didn’t even care. I’m with Marcie on this one!